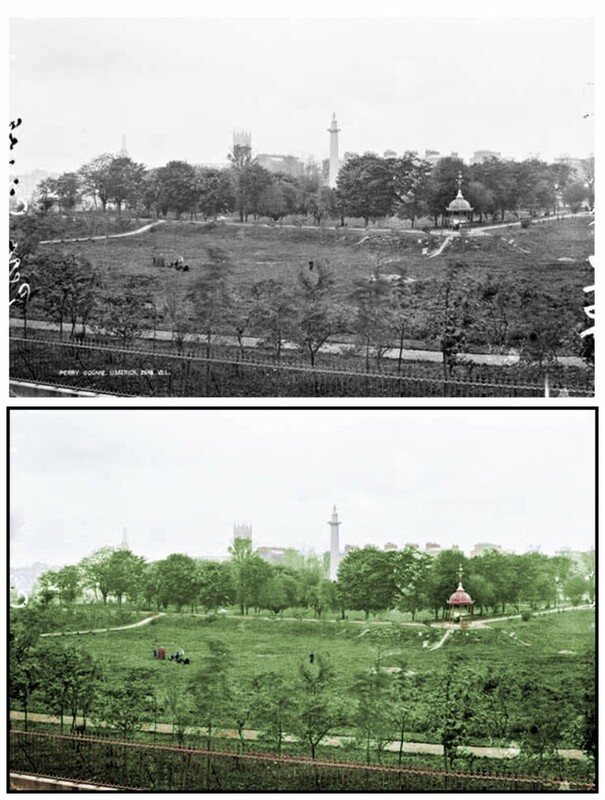 Below is an image from about 1900 of the People’s Park, from the Lawrence Collection which we have colourised to give a new lease of life. The photograph is taken from the Lord Edward Street side of the park and is no longer viewable from this aspect due to the controversial apartments built in the grounds of the park. This image shows the statue to Thomas Spring Rice atop a pillar, one of the band stands, in the distance St Michael’s Church of Ireland church, the chimney stacks of the houses in Pery Square and in the foreground the original iron railing, some of which remains to this day. The Park was initially developed as part of the Pery Square development in the Newtown Pery area of central Limerick. This development commenced in 1835 and the associated park was a key-holders only park. The intended plan was to surround the park with housing for the more affluent members of society. 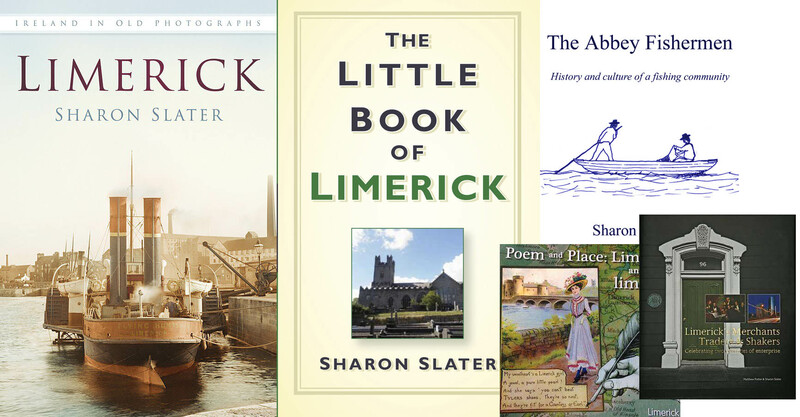 The park was officially opened in 1877, it was given to the people of Limerick. It was named in honour of Richard Russell, a prominent local businessman his name was engraved into the entrance gate. It was the then Earl of Limerick in the 1870s who granted a 500-year lease of Pery Square and the surrounding grounds to the corporation under certain conditions. These included an agreement that no political or religious meetings were allowed to be held in the park and bands were not to play there on a Sunday. Here you can see a colourised Treaty Stone.